Britt Gifts For Coffee Lovers "On the Move"
Honey Processed Coffee: What makes it so special? How Do We Keep Our Coffee So Fresh? Is decaf coffee real coffee? It’s been a good year for coffee! Feel the origin: A trip to a plantation! 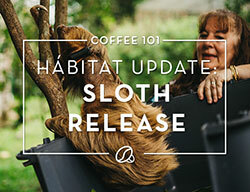 Welcome to Café Britt's first e-newsletter! You've been good. Have a Cookie!